Chicago is supposed to be colder than Antarctica by the middle of the week. Mornings of frostbite and lung damage are being issued across Canada and the northern United States. Apparently warm air from Morocco has made its way to the North Pole causing the upcoming vortex where a southerly Jet Stream poles super-freezing air down into temperate zones. An increase in such vortices fits well within even conservative scientific models of the effect of climate change, which is increasing faster than anyone had ever dared to fear possible. 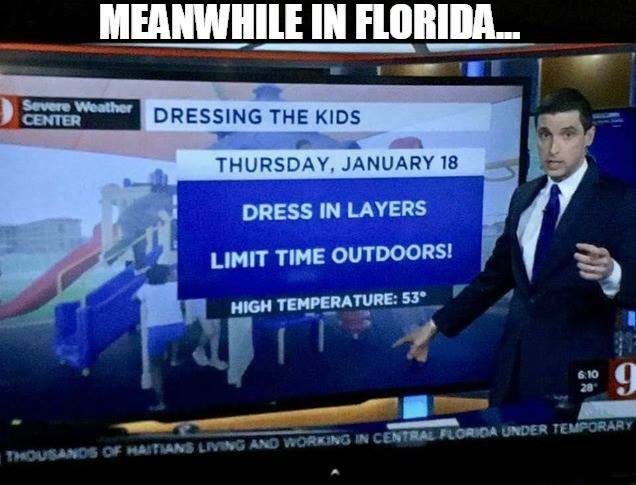 Please bundle up and bring animals indoors. Please report any stray animals you see two authorities as the serious cold approaches. 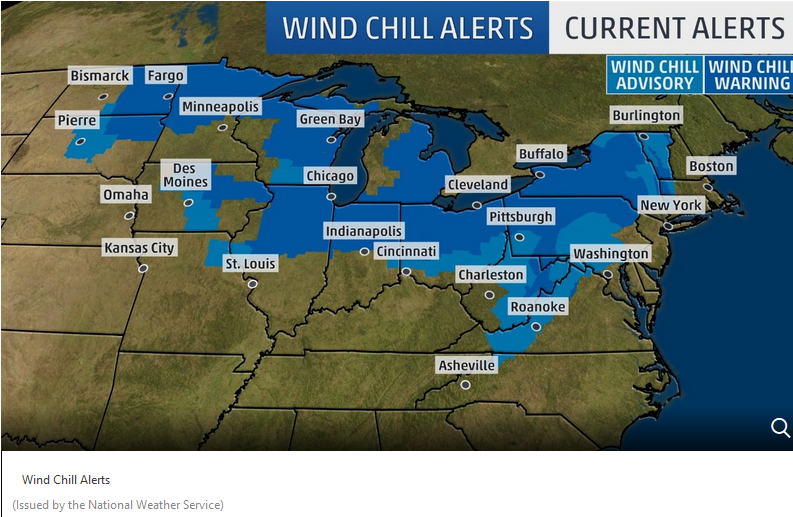 Update Jan 31.: Chicago reached windchill of -52 below zero. Minus 33 degrees Thursday morning in, Moline, Illinois, shattered the all-time record low of minus 28 degrees from Feb. 3, 1996. Minus 30 degrees in Rockford, Illinois, Thursday morning topped their previous record of minus 27 degrees from Jan. 10, 1982. Minus 30 degrees in Cedar Rapids, Iowa, Thursday morning beat the previous all-time record of minus 29 degrees. Minus 43 degrees northwest of Mather, Wisconsin, Wednesday tied the all-time low at that location in records dating to 1903. On the lovely first day of Summer, 2016, here is a look at what may be in store for us this coming July. Spring as come and Spring as gone, but Summer beckons. I grew up assuming that August was the hottest month, and it was supported by first hand experiences in recent years, as I am usually found outdoors at Martinfest in Nazareth, PA in August. But that is the first weekend of the month and apparently more like July than the rest of August. 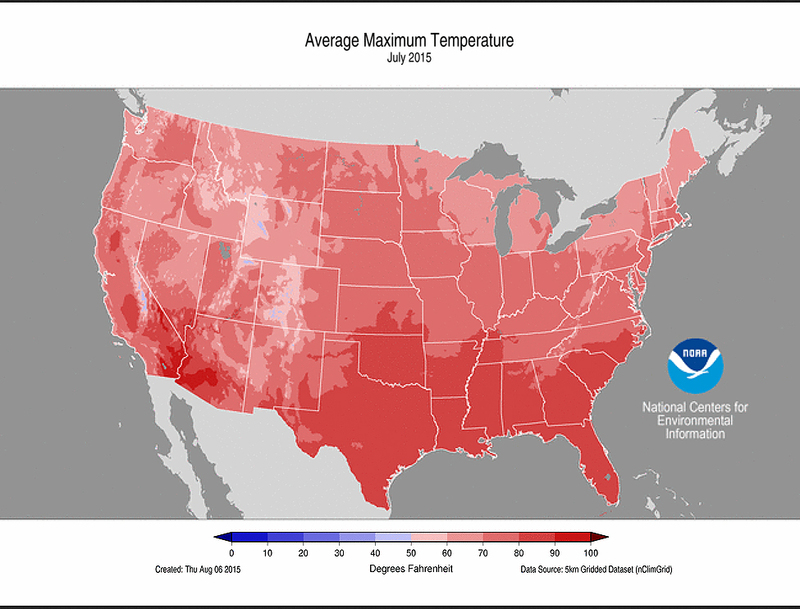 In fact, July is almost always the hottest month of the year in the USA. And now, if you will excuse me, I am heading out into the beautiful day, while June lasts.